Tianjin Yinmao Hongxing Aluminium Co.,Ltd. is a new private enterprise that emerged with the state-owned enterprise restructuring. Its main managers and the operators are all excellent employees of the former Tianjin Aluminum Alloy Factory. 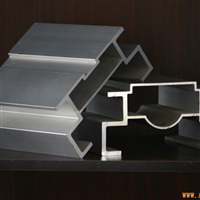 Our company is an aluminum alloy manufacturer that specialized in producing industrial profiles material. Our products include aluminium alloy profiles for electric power, electronics, radiators, transportation, gear, pumps, tanks, lifts, cold bunks and other decorative fields. We have over 6000 kinds of specifications and over 100 series. Our products have won many national certificates. “Tianlv” brand is one of national 10 effective brands. Our melting and casting workshop possesses a 10-ton melting furnace, 10-ton quiescence furnace, and a line of hot top foundry, and equipped with diffusion furnace and cooling furnace. Extrusion workshop has lines of extrusion machine with 500-tons, 1,250-tons, 1,650 tons and 2,750 tons, and equipped with a 16-meter age furnace and vertical quenching furnace. Production workshop has many kinds of processing equipments like processing center, CNC machine tool and others. We can produce radiators, Motor shell and other aluminum alloys with different specifications. We always insist the tenet of “Quality for survive and credibility for developing”. In November 2007, we have passed TUV ISO9001 Quality System Certificate. During 2005 and 2007, we are awarded as “Credibility Enterprise” by Tianjing government for 3 years.